TOPIC: Judge providing a recommendation for a person seeking a federal judgeship. DIGEST: A judge may act as a reference, and furnish a letter of recommendation, for a person seeking a federal judgeship, provided that, the reference and recommendation are based upon the judge's personal knowledge of the applicant. REFERENCES: Illinois Supreme Court Rule 62B of the Code of Judicial Conduct, Canon 2, (145 Ill.2d R.62); ABA Model Code of Judicial Conduct, Canon 2B (1990) and accompanying Commentary; Opinion 83, Judicial Ethics Committee (Maryland, January 4, 1980). A judge desires to serve as a reference, and submit a letter of recommendation, on behalf of an applicant for the position of federal district court judge. 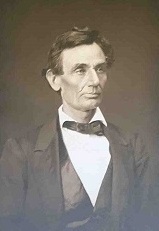 Does serving as a reference, or submitting a letter of recommendation, on behalf of an applicant for a federal judgeship violate Illinois Supreme Court Rule 62B of the Code of Judicial Conduct which prohibits a judge from lending "the prestige of his office to advance the private interests of others?" ...(a judge) should not lend the prestige of his office to advance the private interests of others; nor should he convey or permit others to convey the impression that they are in a special position to influence him. He should not testify voluntarily as a character witness. Although a judge should be sensitive to possible abuse of the prestige of office, a judge may, based on the judge's personal knowledge, serve as a reference or provide a letter of recommendation. ...Judges may participate in the process of judicial selection by cooperating with appointing authorities and screening committees seeking names for consideration, and by responding to official inquiries concerning a person being considered for a judgeship. The Committee believes that the construction placed on Canon 2B of the ABA Model Code of 1990 is equally applicable to the virtually identical language contained in Illinois Supreme Court Rule 62B of the Code of Judicial Conduct. The salutary purposes served by the Illinois Supreme Court Rule 62B of the Code of Judicial Conduct prohibitions simply are not furthered by prohibiting a judge from providing relevant information during the judicial selection process. Indeed, other advisory bodies have determined that Canon 2B is not a bar to a judge providing such information. See, e.g., Opinion 83, Judicial Ethics Committee (Maryland, January 4, 1980) ("We conclude that a judge's making recommendations regarding a candidate for appointment to a judgeship, whether the judge's views were asked for or not, does not violate the Maryland Canons..."). In summary, the Committee is of the opinion that a judge, based upon his or her personal knowledge, may act as a reference or furnish a letter of recommendation for a candidate seeking a federal judgeship. In addition, a judge may suggest the names of potential candidates to appointing and screening committees and other persons involved in the federal appointment process and may respond to official inquiries from such committees or persons. 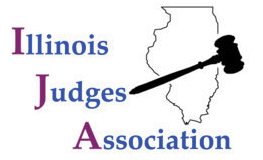 The Committee does caution, however, that participation in the judicial selection process in ways other than those described in this Opinion may very well violate Illinois Supreme Court Rule 62B of the Code of Judicial Conduct. Likewise, the content and tenor of any permissible communication made in the context of the judicial selection process should be consistent with the judge's duties established by the Code of Judicial Conduct including the duty to act in a manner that promotes public confidence in the integrity and impartiality of the judicial system. See Illinois Supreme Court Rule 62A of the Code of Judicial Conduct.